Our brand name "英・Hide" comes from the founder of this company, Hideaki Yamamoto. 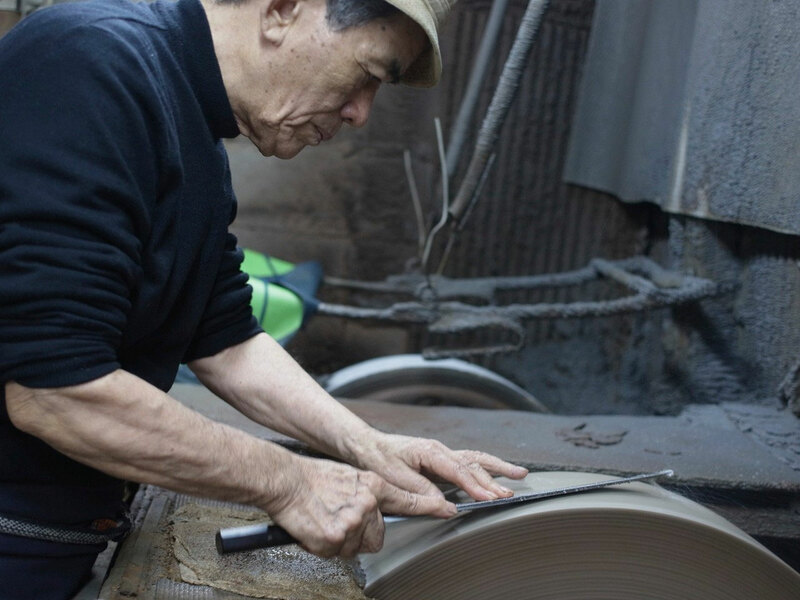 He has over 65 years of experience, and he is the only craftman who is trained in, and currently doing sharpening for not only knives but also Samurai Swords in Sakai, OSAKA. 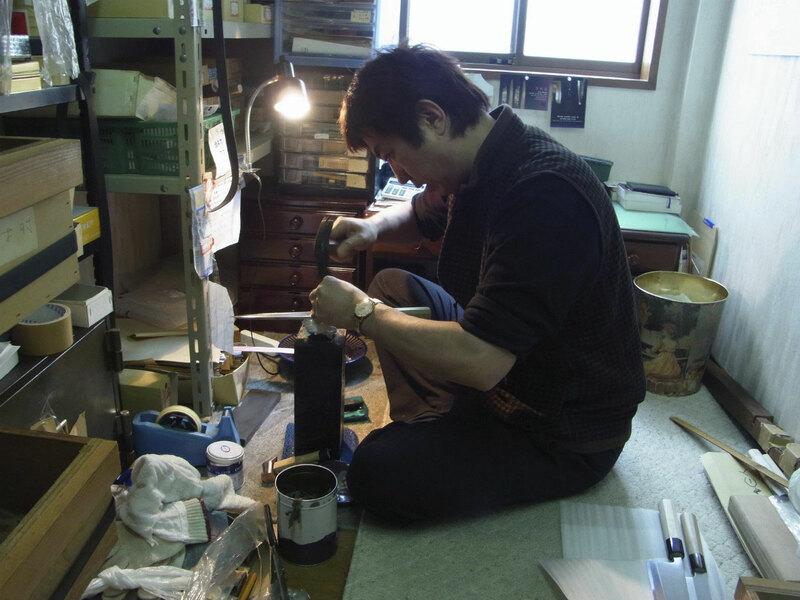 Today, he is making knives together with his oldest son, Shinichiro Yamamoto, a certified craftsman with over 30 years of experience. 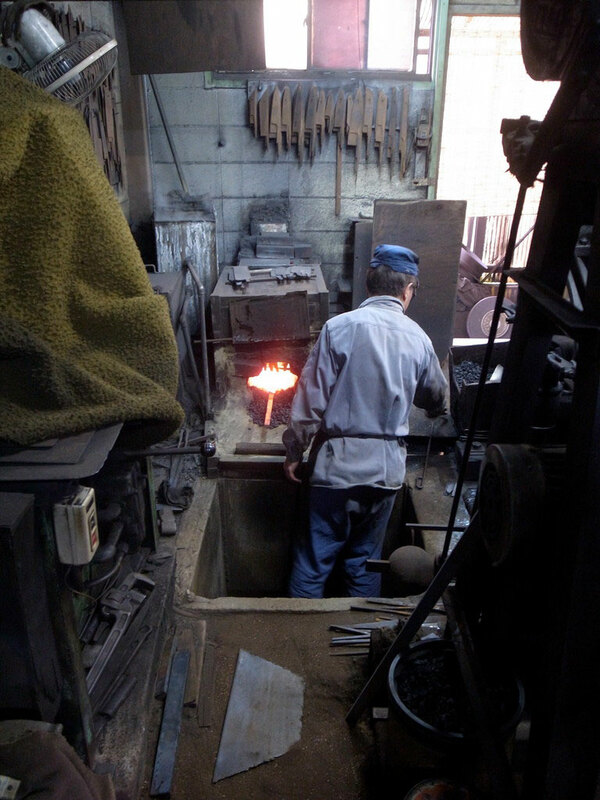 "He is the one of the best blacksmith in Japan." Through over 30 years experience as a blacksmith, Hide-san and Shin-san trust and confident what he forges. 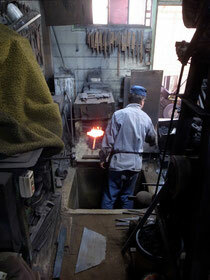 Mr. Ebuchi says it is very difficult but interesting & fun to controll the temperature of the furnace and iron & steel. All facts such as humidity, out side temperature, wheather are influence the temperature of the furnace and metal, and there is no thermometer or mechanical equipment to check the conditions but he is controlling it through his five physical senses.